Andre Schurrle - Does he deserve a regular start for Chelsea? Sitting watching the World Cup Final last night and seeing Andre Schurrle make another impact in the game from the bench made me wonder if he deserves a regular start for Chelsea now? I will be honest when we signed Schurrle I really hoped that we wouldn't end up with another Marko Marin situation. I hadn't seen alot of him, only the various clips on YouTube but hoped he would be able to come here and make much more of an impression. Sitting here now almost a year later and what an impression he has made. Looking at how he approached the move here, the extra training sessions in the park he put on social media in addition to pre season, it became clear that he wasn't going to let this chance go by and worked himself into the managers plans. I have been really, really impressed by Schurrle for his work ethic first and foremost but his ability to score goals and pose a real threat to defenders up and down the country has been really pleasing. You only have to look at the managers reaction to his involvement in our third goal away to Steaua Bucharest last season to understand just how much the manager respects him. 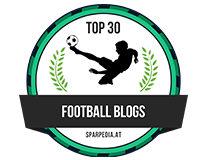 Schurrle featured in 43 games last season in all competitions and scored 9 goals which is good for a first season here. As we all know people talk of players from other countries coming here and taking a while to settle down. If that's the case, then Schurrle will only continue to get better and better which is good news for all of us. So what of Schurrle in Brazil? The only reason Schurrle was left out of the starting eleven was because of the strength of the German midfield three. Khedira, Kroos and Schweinsteiger are so strong in that area, Mesut Ozil was forced out wide left with Muller wide right. What has really impressed me about him in Brazil is that Schurrle had no qualms or moans about missing out on the start because he knew the manager had faith in him, similar to that of Mourinho. Schurrle knew he would be given playing time and took his chances with both hands. You only have to look at the game yesterday and although not his best performance, he still posed Zabaleta a problem from the moment he came on. The full back wasn't able to push forward because Schurrle held his position out wide. Goetze will take all the credit for his control and finish for the goal that won the game. His skill was fantastic and in a match of that prestige more than likely something most players would dream about, we cannot forget the involvement of Schurrle. To take the ball and commit to running forward towards the byline, taking two defenders with him was good to see bearing in mind it was so late in the game. To then come up with a cross like that, under pressure was brilliant. It now leaves me wondering if Schurrle would have done enough for force Mourinho's hand for the new season and play him on the opposite side to Eden Hazard and ahead of the likes of Willian and Salah? 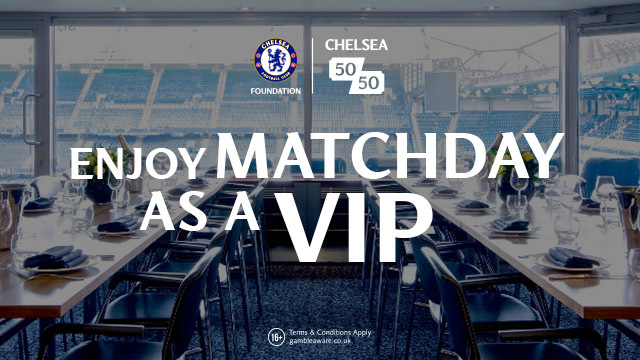 What do you Chelsea fans think? 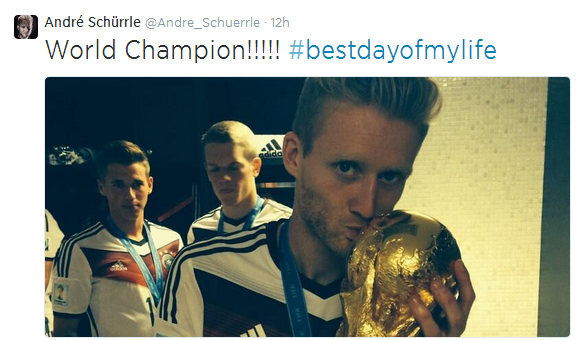 Congratulations Andre Schurrle - World Cup Winner and Champion!